Energy efficient outdoor LED lighting, suitable for all external applications. 2W LED Ground Light, narrow or wide beam, 2700K - 3000K - 4000K, IP68, 65mm cutout, IK08, UGR 10&nbs..
High quality professional external bollard, suitable for commercial or residential use, to illuminat.. Stylish and Compact Straight to Mains IP66 Flood with 2m Flex Slimline aluminium body with rota..
Save up to 75% energy consumption compared to traditional halogen fittings, with this IP65 longlife ..
Black post top or side entry street lantern, with 76mm spigot. Die-cast aluminium construction for o..
An LED wall pack bulkhead that offers low maintenance and a robust solution to external lighting app..
Save up to 85% energy consumption compared to traditional halogen fittings, with this IP65 longlife .. 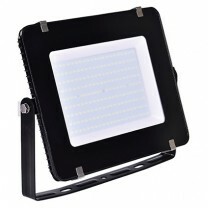 This 100W LED floodlight makes an ideal replacement for energy-hungry halogen lighting. Su.. This 200W LED floodlight makes an ideal replacement for energy-hungry halogen lighting. Suitabl..